Kristina is a barista extraordinaire. 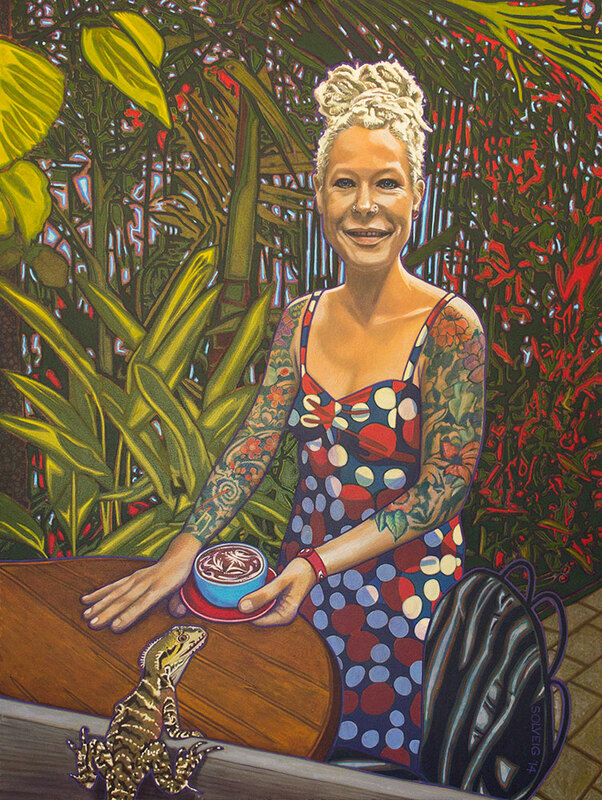 This painting sees her in her role at Poinciana Cafe. Her wonderful body art and hospitality skills are a delight for patrons.